There a two very important reasons why many businesses choose to utilize a commercial cleaning company. Those reasons being time and money. Some businesses simply do not have the time to perform any deep cleaning services themselves. We spend most of our time dedicating long hours at work. Although some businesses do use a cleaning service, is often very minimal. However, with Interkleen, you get impeccable Janitorial Services that go beyond just emptying the trash and quickly vacuuming. 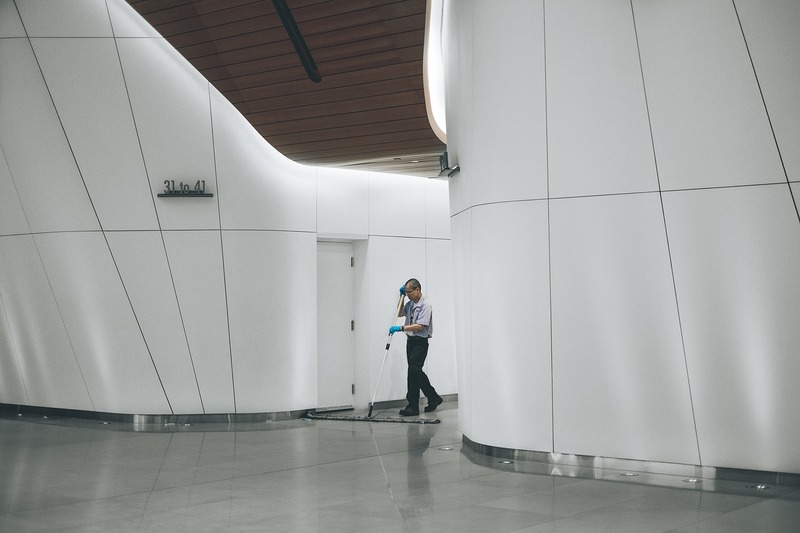 In order to maintain cleaning compliance, high-quality commercial cleaning is a must. When it comes to doing business, appearance absolutely matters. Having your office cleaned thoroughly emphasizes the professionalism of your business. It creates a comfortable atmosphere for your employees to continuing working in. Allowing them to work efficiently without distraction or discomfort. Interkleen delivers a cleaning program that is tailored to fit your office space as well as business needs. Most Churches or Religious Facilities only get used for a couple days out of the week. However, dirt and germs easily build up more and more each day. Especially without the use of a regular and thorough Commercial Church Cleaning Services. Interkleen ensures that every aspect of the religious facility is pristine. Every Church we clean looks better than ever and is always ready for the weekly services ahead. We provide specific janitorial cleaning services for Schools. Our School Cleaning Services includes window cleaning, graffiti removal, carpet cleaning, pressure washing, and so much more. Our cleaning services ensure your manufacturing warehouse exceeds the cleaning standards. Your warehouse facility will never be fined not meeting the established cleaning standard it must adhere to. Our Warehouse Cleaning Service provides the highest quality cleaning service available. We proudly provide the most sanitizing cleaning services for many laboratories in South Florida. Our expert cleaning professionals ensure your lab remains clean and safe consistently with our expert Laboratory Cleaning Service. Our executive cleaning services extend to financial institutions like Banks. How clean your bank is a reflection of how organized and welcoming the environment is. Our experts continue to provide years of impeccable cleaning for professional banks all over south Florida. For both small businesses and large corporations, office cleaning is critical. A business’s first impression is one of the most important aspects. Our janitorial cleaning services supersede every health code standard. At Interkleen, we understand how important it is to maintain a clean business. Beyond just an impeccable first impression, we ensure the health and safety for all those involved in your company. We are proud to support so many businesses by providing a healthier work environment. Our janitorial services reflect the quality of your business’s goods and services. At Interkleen, we treat your office or facility with the respect and care it deserves. Our dedicated cleaning professionals provide the most in-depth commercial cleaning services in all of South Florida. When you are ready to benefit from a truly professional cleaning service, Contact Interkleen, at (561) 732-1818. Copyright © 2019 - INTER KLEEN - All Rights Reserved.